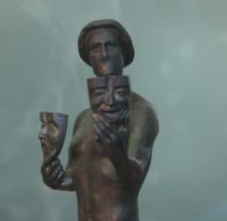 During the SAG Awards, people are on the edge of their seats to see who will take home The Actor statuette in the various categories. The Actor is more than just a trophy, however. He symbolizes the art and craft of acting, and receiving one is recognition of an outstanding performance. As we celebrate the statuette’s 25th anniversary, click here to take a look back at how it all began with a sketch in the special 25th anniversary SAG Awards digital special issue.